Delhi Pharmaceutical Science and Research University, Pushp Vihar, Sector-3, M.B. Road, New Delhi -110017, Delhi, India. ABSTRACT: Tea (Camellia sinensis) is one of the most widely consumed beverages in the world. Tea extracts are source of polyphenols, which are antioxidant components. 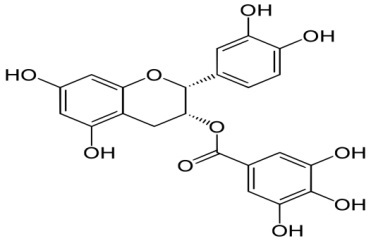 Green tea phenolic compounds are predominately composed of catechin derivatives, although other compounds such as flavonols and phenolic acids are also present in lower proportion. The main catechin compounds found in green tea are (-) Epigallocatechin Gallate (EGCG), (-) Epigallocatechin (EGC), (-) Epicatechin Gallate (ECG) and (-) Epicatechin (EC) and other compounds. An antioxidant is a molecule capable of inhibiting the oxidation of other molecules. Oxidation is a chemical reaction that transfers electrons from the substance to an oxidizing agent. Oxidation reactions can produce free radicals. A molecule with one or more unpaired electron in its outer shell is called a free radical. Free radicals are formed from molecules via breakage of a chemical bond such that each fragment keeps one electron, by cleavage of a radical to give another radical and, also via redox reactions. In turn, these radicals can start chain reactions that damage cells. Antioxidants terminate these chain reactions by removing free radical intermediates, and inhibit other oxidation reactions. They do this by being oxidized themselves, so antioxidants are often reducing agents. Antioxidants play a significant role in our health. They are the compounds that protects cell against the damaging effect of reactive oxygen species. This review highlights the potentials of green tea with respect to its antioxidant constituents. INTRODUCTION: Tea is one of the most widely consumed beverages in the world. Tea plant Camellia sinensis (family-Theaceae) has been originated from Southeast China, gradually expanded to India, Sri Lanka and further into many tropical and sub-tropical countries. The tea plant is grown in about 30 countries Worldwide. It grows best in tropical and subtropical areas with adequate rainfall, good drainage and slightly acidic soil. There are two varieties of tea. Camellia sinensis var. sinensis (China tea) is grown extensively in China, Japan, and Taiwan, while C. assamica var. assamica (Assam tea) predominates in south and south East Asia, including Malaysia and more recently, Australia 3. Green tea is widely considered as a health-promoting beverage, and the beneficial effects generally associated with green tea have been attributed to its polyphenol content, particularly to catechins and their antioxidant activity. Green tea contains more catechins than black tea or oolong tea. Catechins are in-vitro and in-vivo strong antioxidants. In addition, its content minerals and Vitamins increase the antioxidant potential of this type of tea. It is a widely used medicinal plant throughout India, China and popular in the various indigenous system of medicine like Ayurveda, Unani and Homoeopathy. Green tea has been consumed in all respective ages in India, China, Japan and Thailand. Green tea is believed to be a potent source of beneficial antioxidants, like that found in fruits and vegetables. Tea is particularly rich in polyphenols, including catechins, theaflavins and thearubigins, which are thought to contribute to the health benefits of tea 14. By oxygen free radicals in the atmosphere considered as pollu-tants. In mitochondria-catalyzed electron transport reactions, oxygen free radicals produced as by product. By the metabolism of arachidonic acid, plate-lets, macrophages and smooth muscle cells. Interaction with chemicals, automobile exhausts fumes, smoking of cigarettes, cigars, beedie. Burning of organic matter during cooking, forest fires, volcanic activities. Industrial effluents, excess chemicals, alcoholic intake, certain drugs, asbestos, certain pesticides and herbicides, some met-al ions, fungal toxins and xenobiotics. By cytochrome P450 metabolism and the enzyme xanthine oxidase, which catalyzes the reaction of hypoxanthine to xanthine and xanthine to uric acid. ROS and RNS includes radicals such as superoxide (O2•−), hydroxyl (OH•), peroxyl (RO2•), hydro-peroxyl (HO2•), alkoxyl (RO•), peroxyl (ROO•), nitric oxide (NO•), nitrogen dioxide (NO2•) and lipid peroxyl (LOO•); and non radicals like hydrogen peroxide (H2O2), hypochlorous acid (HOCl), ozone (O3), singlet oxygen (1Δg), peroxy-nitrate (ONOO−), nitrous acid (HNO2), dinitrogen trioxide (N2O3), lipid peroxide (LOOH) 4. Free radicals cause damage to different levels in the cell: Attack lipids and proteins in the cell membrane so the cell cannot perform its vital functions (transport of nutrients, waste disposal, cell division, etc.) 31. Free radicals generally involved in chain reactions, a series of reactions leads to regenerates a radical that can begin a new cycle of reactions. Free radical reactions take three distinct identifiable steps 9. Initiation Step: Formation of radicals. Propagation Step: In this step required free radical is regenerated repeatedly as a result of chain reaction, which would take the reaction to completion. Termination Step: Destruction of radicals. Oxidation is a chemical reaction that transfers electrons from the substance to an oxidizing agent. Oxidation reactions can produce free radicals. In turn, these radicals can start chain reactions. Antioxidants terminate these chain reactions by removing free radical intermediates, and inhibit other oxidation reactions. An anti-oxidant is a molecule capable of slowing or preventing the oxidation of other molecules. The term “anti-oxidant” also refers to any molecule capable of stabilizing or deactivating free radicals before they attack cells 5. Antioxidants act as radical scavenger, hydrogen donor, electron donor, peroxide decomposer, singlet oxygen quencher, enzyme inhibitor, synergist and metal-chelating agents 37. Anti-oxidants are important in living organisms as well as in food because they may delay or stop formation of free radical by giving hydrogen atoms or scavenging them 31. Antioxidants Minerals: These are co factor of antioxidants enzymes. Their absence will definitely affect metabolism of many macromolecules such as carbohydrates. Examples include selenium, copper, iron, zinc and manganese. Antioxidants Vitamins: It is needed for most body metabolic functions. They include Vitamin C, Vitamin E and Vitamin B.
Flavonoids: These are phenolic compounds that give vegetables fruits, grains, seeds leaves, flowers and bark their colours. Catechins: The most active antioxidants in green and black tea and sesamol. Carotenoids: Fat soluble colour in fruits and vegetables. Beta Carotene: Which is rich in carrot and converted to Vitamin A when the body lacks enough of the Vitamin. Zeaxantin: High in spinach and other dark greens. Herbs and Spices-source: Diterpene, rosmari-quinone, thyme, numeg, clove, black pepper, ginger, garlic and curcumin and derivatives. Butylated Hydroxyl Anisole (BHA). Butylated hydroxyrotoluene (BHT). Propyl gallate (PG) and metal chelating agent (EDTA). 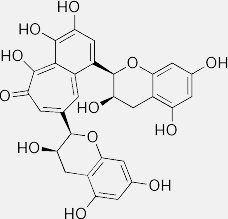 Hydrophilic Antioxidants: They are soluble in water. Water soluble antioxidants react with oxidants react with oxidants in the cell cytoplasm and blood plasma. Hydrophobic Antioxidants: They are soluble in lipids. Lipid soluble antioxidants protect cell membranes from lipid peroxidation. First Line Defence (Preventive Antioxidants): These are enzymes like superoxide dismutase (SOD), catalase (CAT), glutathione peroxidise (GTX), glutathione reductase and some minerals like Se, Mn, Cu etc. SOD mainly acts by quenching of superoxide (O2), CAT by catalyzing the decomposition of hydrogen peroxide (H2O2) to water and oxygen. GTX catalyses the reduction of H2O2 and lipid peroxide generated during lipid peroxidation to water using reduced glutathione as substrate. Second Line Defence (Radical Scavenging Antioxidant): These are glutathione, Vitamin C, uric acid, albumin, bilirubin, Vitamin E, carotenoids, flavonoid etc. β- carotene is an excellent scavenger of singlet oxygen. Vitamin C interacts directly with radicals like O2, OH. GSH is a good scavenger of many free radicals like O2, OH and various lipid hydroperoxides and may help to detoxify many inhaled oxidizing air pollutants like ozone. Third Line Defence (Repair and De-novo Enzyme): These are a complex group of enzymes for repair of damaged DNA, protein, oxidized lipids and peroxides and also to stop chain propagation of peroxyl lipid radical. These enzymes repair the damage to biomolecules and reconstitute the damaged cell membrane. Enzymatic: Superoxide dimutase (SOD), Catalase (CAT) and Glutathione Peroxidise (GTX) etc. Non Enzymatic: Ascorbic acid, tocopherols and tocotrienols, carotenoids, melatonin, polyphenols, thiol and bilirubin etc. Free radicals oxidize many biological structures, damaging them. This is known as oxidative damage, a major cause of aging, cancer, athero-sclerosis, chronic inflammatory processes and cataracts, which are the most characteristic. In certain circumstances, production of free radicals can increase uncontrollably, a situation known as oxidative stress. 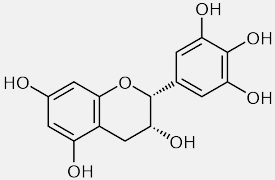 This means “an imbalance between the speeds of production and destruction of toxic molecules, leading to an increase in cellular concentration of free radicals” 31 or “disharmony between ROS production and antioxidant numbers to scavenge ROS will increase oxidative stress”. Mechanism of Action of Antioxidants: Two principle mechanisms of action have been proposed for antioxidants 37, 38. The first is a chain- breaking mechanism by which the primary antioxidant donates an electron to the free radical present in the systems. The second mechanism involves removal of ROS/reactive nitrogen species initiators (secondary antioxidants) by quenching chain-initiating catalyst. Up-regulating or protecting antioxidant defences. Antioxidants may exert their effect on biological systems by different mechanisms including electron donation, metal ion chelation, co-antioxidants, or by gene expression regulation. Tea’s Profile: Tea is one of the most widely consumed beverages in the world today, second only to water, well ahead of coffee, beer, wine and carbonated soft drinks. The tea plant, Camellia sinensis, is a member of the Theaceae family and black, oolong and green tea are produced from its leaf and buds. It is an evergreen shrub or tree that can grow to a height of 30 feet, but is usually clipped to a height of 2.5 feet in cultivation. The tree or shrub is heavily branched with dark-green, hairy, oblong, ovate leaves cultivated and pre-ferentially picked as young shoots. Green tea is produced from steaming fresh leaves at high temperatures, thereby inactivating the oxidizing enzymes and leaving the polyphenol content intact 35. Green tea is a ‘non-fermented’ tea and contains more catechins than black tea or oolong tea. Catechins are in-vitro and in-vivo strong antioxidants. In addition, its content of certain minerals and Vitamins increases the antioxidant potential of this type of tea. Presently, it is cultivated in at least 30 countries around the world. Tea beverage is an infusion of the dried leaves of Camellia sinesis. It is a widely used medicinal plant by the trials throughout India, China and popular in various indigenous system of medicine like Ayurveda, Unani and Homoeopathy. Green tea has been consumed throughout the ages in India, China, Japan and Thailand 11. History: The plant Camellia sinensis was originally discovered and grown in Southeast Asia thousands of year ago and according to Chinese mythology, the emperor Shen Nung discovered tea for first time in 2737 BC 23. The use of tea leaves probably first originated more than 3,000 years ago, in the southwest area of China and initially was used by people only for chewing and eating, in just the same way that coffee was first used 77. Green tea has a long history as a folk remedy, and it is the most widely consumed beverage in the world but the beneficial medicinal properties have only been elucidated in the past 20 years 11. Tea is grown mainly in the Subtropics and in the mountainous areas of the tropics between latitudes 41° N and 16° S. It is an intensively managed perennial monoculture crop cultivated on large- and small-scale plantations in a variety of countries including China, India, Sri Lanka, Kenya, Turkey, Vietnam, and Indonesia. Green Tea: It is prepared from unfermented leaves compared to the leaves of oolong tea which are partially fermented and black tea which are fully fermented. Green tea is rich in varieties of beneficial chemicals with maximum positive effects on human beings. Black Tea: It accounts for approximately 72 % of the world’s total tea production. While most of the EGCG antioxidants are oxidized during the fermenting process, black tea retains a high number of the antioxidants polyphenols such as flavonoids. These antioxidants help rid the body of harmful toxins. White Tea: The buds and young tea leaves are collected shortly before the buds have fully opened. Then the leaves are steamed and dried with the minimum amount of processing. For this reason white tea retains the greatest levels of antioxidants and the lowest levels of caffeine than any other tea from the C. sinensis plant (green, black or oolong). Oolong Tea: Oolong tea is a partially fermented tea and has the flavour and health characteristics of both green and black teas. It contains a high number of antioxidants, which protects healthy skin cells and the aging process slows down. Pu’erh Tea: This type of tea comes from a large leaf variety of tea plant and can be picked any time of the year. Its processing is similar to that of black tea. What makes this tea unique is that once it is picked, it is piled and aged for as long as 50 - 100 years. Roobios or Red Tea: It comes from a shrub in South Africa. It is naturally caffeine free– making it a good choice for pregnant or breastfeeding women. Rooibos or Red tea has a high number of antioxidants. Green and oolong tea are more commonly consumed in Asian countries like India, China, Japan and Thailand, while black tea is most popular in Western countries. The more the leaves are fermented, the lower the polyphenol content, and the higher the caffeine content. Chemical Composition: Green tea (prepared from processed leaves of Camellia sinensis) and its supplements generally contain higher amounts of disease fighting antioxidants called as polyphenols, 16 most of which are catechins. Catechins account for 10 % - 20 % of dry green tea leaves and those are described as being responsible for the bitter components of green tea. 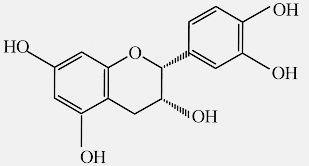 The major types of catechins in green tea are epigallocatechin gallate (EGCG), epigallocatechin (EGC), epicatechin (EC) and epicatechingallate (ECG), along with their heat-induced isomers that include catechin (+C), gallocatechin (GC), catechingallate (CG), and gallocatechingallate (GCG). 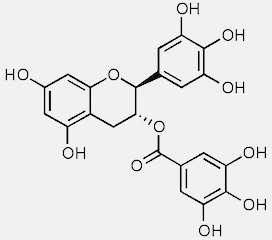 Among these, EGCG has been extensively investigated since it is the dominant catechin in green tea 34. The chemical composition of green tea also includes: proteins (15-20% dry weight), whose enzymes constitute an important fraction; amino acids (1-4% dry weight) such as theanine or 5-N-ethylglutamine, glutamic acid, tryptophan, glycine, serine, aspartic acid, tyrosine, valine, leucine, threonine, arginine, and lysine; carbohydrates (5-7% dry weight) such as cellulose, pectins, glucose, fructose and sucrose; minerals and trace elements (5% dry weight) such as calcium, magnesium, chromium, manganese, iron, copper, zinc, molybdenum, selenium, sodium, phosphorus, cobalt, strontium, nickel, potassium, fluorine and aluminum; and trace amounts of lipids (linoleic and α-linolenic acids), sterols (stigmasterol), Vitamins (B, C, E), pigments (chlorophyll, carotenoids) and volatile compounds (aldehydes, alcohols, esters, lactones, hydrocarbons). The fresh leaves contain, on average, 3-4 % of alkaloids known as methyl-xanthines, such as caffeine, theobromine and theophylline. Its reactivity as a hydrogen or electron donating agent, which relates to its reducing potentials. The fate of the resulting antioxidant-derived radical, which is governed by its ability to stabilize or delocalize the unpaired electron. Its reactivity with other antioxidants. Significance of Green Tea Antioxidants: Anti-oxidants present in green tea are responsible for several health benefits. Some of them are discussed below (also summarized in Table 4). Anti-diabetic Effect: In Type II diabetes, which is a heterogeneous disorder, there is resistance of glucose and lipid metabolism in peripheral tissues to the biological activity of insulin and insulin secretion by pancreatic β cells is inadequate. In a study, administration of Green Tea polyphenols (500 mg/kg) to normal rats, there was an increase in glucose tolerance significantly at 60 minutes. Serum glucose levels was also reduced in alloxan diabetic rats at a dose of 100 mg/kg. For 15 days continuous administration of the green tea extract at 50 or 100 mg/kg daily, it produced 29% and 44% reduction, respectively, in the elevated serum glucose level produced by alloxan administration 40. Green tea improves lipid and glucose metabolism, prevents sudden increase in blood sugar levels and balances our metabolic rate. The effects of tea on diabetes have received increasing attention. Tea catechins, especially EGCG, appear to have antidiabetic effects 80. Antiparkinson Effect: Parkinson's disease is a progressive, degenerative disorder of the central nervous system, resulting from the loss of dopamine-producing brain cells, and there is presently no cure. Certain researchers have indicated that green tea possesses neuroprotective effects, suggesting its role in the prevention of Parkinson's disease. The authors discovered that green tea polyphenols protect dopamine neurons, which increases with the amount of green tea consumed. They also stated that this protective effect is mediated by inhibition of the ROS-NO pathway, a pathway that may contribute to cell death in Parkinson′s 78. Antioxidants in green tea help prevent against cell damage in the brain, which could cause parkinson′s, and thus prevent it. Antialzheimer Effect: In an in-vitro study, it was found that green tea inhibited human acetyl-cholinesterase, with an IC value of 0.03 mg/ml and, at an assay concentration of 0.03 mg/ml, inhibited β-secretase by 38%. These findings suggest that tea infusion contains biologically active principles, perhaps acting synergistically, that may be used to retard the progression of disease assuming that these principles reach the brain 79. EGCG decreases production of beta-amyloid, a protein that forms the plaques that clog the brains of Alzheimer's victims. The primary target for treatment of Alzheimer's disease is inhibition of enzyme acetylcholinesterase and β-amyloidosis. Antiobesity Effect: Obesity and overweight are rapidly growing, recognized medical problem in developed countries and is a threat to the health of large number of populations. The effects of tea on obesity have received increasing attention. Tea catechins, especially EGCG, appear to have anti-obesity effects 80. Green tea is also seen as a natural herb that can enhance energy expenditure and fat oxidation and thereby induce weight loss. In a randomized, double-blind, placebo-controlled, cross-over pilot study, six overweight men were given 300 mg EGCG per day for two days. Fasting and postprandial changes in energy expenditure and substrate oxidation were assessed. Resting energy expenditure did not differ significantly between EGCG and placebo treatments, although during the first postprandial monitoring phase, respiratory quotient values were significantly lower with EGCG treatment compared to the placebo. These findings suggest that EGCG alone has the potential to increase fat oxidation in men and may thereby contribute to the anti-obesity effects of green tea 81. In Cardiovascular Disease: Cardiovascular disease (CVD) is a complex disorder involving multiple factors. Among those factors are inflammation, oxidative stress, platelet aggregation, and lipid metabolism. Some of these factors are also involved in other disease processes, but will be discussed in this paper under CVD. There have been a number of studies over the years assessing green tea consumption in respect to CVD risk 52. Consumption of green tea is associated with lower risk of heart disease and stroke. Research published by Harvard demonstrates that people who drink at least one cup of tea daily have a 44 percent lower risk of heart attack. Green tea also dramatically increases the antioxidant capability of blood, which protects the LDL cholesterol particles from oxidation, which is one part of pathway towards heart disease. Women who consumed five or more cups per day had 31 % lower risk of dying from cardiovascular disease and stroke 82. Anti-microbial Effect: A large amount of research has been performed assessing the antimicrobial scope of green tea catechins. Organisms affected by green tea include a large number of Gram-positive and Gram-negative aerobic bacteria, anaerobic bacteria, viruses, fungi, and at least one parasite. Among the antimicrobial mechanisms that have been attributed to green tea are: damage to the bacterial cell membrane, inhibition of bacterial fatty acid synthesis, inhibition of other enzymes (e.g., protein tyrosine kinase, cysteine proteinases, DNA gyrase, ATP synthase), and inhibition of efflux pump activity 83. Anti-viral Effect: EGCG and ECG were found to be potent inhibitors of influenza virus replication in cell culture. This effect was observed in all influenza virus sub-types tested, including A/H1N1, A/H3N2 and B virus. Quantitative analysis revealed that, at high concentration, EGCG and ECG also suppressed viral RNA synthesis in cells, whereas EGC failed to show a similar effect. Similarly, EGCG and ECG inhibited the neuraminidase activity more effectively than the EGC. 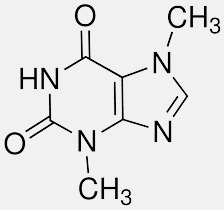 Neuraminidase is an antigenic glycoprotein enzyme found on the surface of the influenza virus. Neuraminidase has functions that aid in the efficiency of virus release from cells 86. Antithyroidal Effect: GTE at relatively high doses caused hypothyroidism in rats by altering morphological and functional status of thyroid. Moreover, the commercially available catechins have shown pronounced effect inducing hypo-thyroidism which validates that the effect of GTE may be due to antithyroidal or goitrogenic effect of catechins present in tea. All these suggest that catechin present in green tea has the antithyroidal as well as goitrogenic potential and its regular consumption at relatively high doses pose a threat to the functioning of thyroid 84. Tea and Bone Density: An interesting study of 1256 women in the United Kingdom ages 65-76 (1134 tea drinkers and 122 non-tea drinkers) reported that the tea drinkers had significantly greater mean bone mineral density (BMD) measurements (approximately 5%, adjusted for age and body-mass index), independent of smoking status, use of hormone-replacement therapy, coffee drinking, and whether milk was added to tea. Older women who drank tea had higher BMD measurements than did older women who did not drink tea 91. Anti-cancer or Chemopreventive Effect: Scientific studies suggest that epigallocatechin gallate (EGCG), the major tea polyphenol along with other polyphenols have anti inflammatory and anti-cancer properties that may help prevent the onset and growth of skin tumours 85. One population-based study found that Okinawan tea (similar to green tea but partially fermented) was associated with decreased lung cancer risk, particularly among women. Researchers found that women who consumed the most green tea experienced the least spread of cancer (particularly pre-menopausal women with early stages of breast cancer). However, women with late stages of breast cancer experienced little or no improvement from drinking green tea 14. Anti-cataract Effect: Green tea also possesses its effect on eye with respect to cataract. Tea, administered in culture to enucleated rat lens, reduced the incidence of selenite cataract in-vivo. The study demonstrated that there was positive modulation of biochemical parameters in the organ culture study. The results indicated that tea act primarily as anti-cataract by preserving the anti-oxidant defense system 28. In Arthritis: An antioxidant-rich polyphenolic fraction isolated from green tea has been reported to have anti-inflammatory properties in laboratory animals. One such study 17 reported positive benefits on collagen-induced arthritis in mice. The mice exhibited a significant reduction in the incidence of arthritis (33%-50%), compared with mice not given green tea polyphenols 90. Anti-cariogenic Effect: The effects of green tea extract on caries inhibition of hamsters and on acid resistance of human tooth enamel have been suggested by both in-vivo and in-vitro studies. 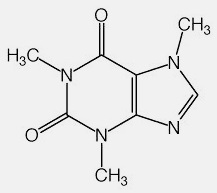 The dialyzed tea solution in which the fluoride was removed almost completely also showed remarkable effects, similar to the original tea extract. The results obtained from this study suggested that fluoride in green tea may play a role in increasing the cariostatic action along with other components in tea. However, the action of fluoride does not seem to be so important because its concentration is very low. The effect of green tea on caries inhibition as well as on the increment of acid resistance appears to be more correlative with the nondialysable substances in tea 88. In Halitosis: Halitosis is caused mainly by volatile sulfur compounds (VSCs) such as H2S and CH3SH produced in the oral cavity. Oral microorganisms degrade proteinaceous substrates to cysteine and methionine, which are then converted to VSCs. Because tea polyphenols have been shown to have antimicrobial and deodorant effects, researchers investigated whether green tea powder reduces VSCs in mouth air, and compared its effectiveness with that of other foods that are claimed to control halitosis. Immediately after administering the products, green tea showed the largest reduction in concentration of both H2S and CH3SH gases, especially CH3SH, which also demonstrated a better correlation with odour strength than H2S; however, no reduction was observed at 1, 2 and 3 h after administration. In an in-vitro study, toothpaste, mints and green tea strongly inhibited VSCs production in a saliva-putrefaction system, but chewing gum and parsley-seed oil product could not inhibit saliva putrefaction. Toothpaste and green tea also demonstrated strong deodorant activities Therefore, it was concluded that green tea was very effective in reducing oral mal-odour temporarily because of its disinfectant and deodorant activities, whereas other foods were not effective 89. Effect on Skin: Tea is used as an age-old home remedy for burns, wounds and swelling. A poultice of green tea eases itching and inflammation of insect bites, while a compress stems bleeding. Tannins and flavonoides of tea are having with the antiseptic properties. The former also have anti-inflammatory effects. Green tea also has some benefits for the body if used externally. It can be used to stop or slow bleeding, and can relieve itchy rashes and bug bites. Also, many hair and skin care products make use of tea tree oil to add shine and replenish. Researchers are also looking into green tea as a natural sun block. Green tea constituents may be useful topically for promoting skin regeneration, wound healing, or treatment of certain epithelial conditions such as aphthous ulcers, psoriasis, rosacea, and actinic keratosis. At certain concentrations, EGCG or a mixture of the major green tea polyphenols stimulated aged keratinocytes to generate biological energy and to synthesize DNA, possibly for renewed cell division. Scientific studies suggest that epigallo-catechin gallate (EGCG), the major tea polyphenol along with other polyphenols have anti inflammatory and anti-cancer properties that may help prevent the onset and growth of skin tumours 85. Research using pooled human keratinocytes (skin cells) to study the normal growth of the skin cells alone and comparing it to the growth of the cells when exposed to EGCG revealed that EGCG reactivated dying skin cells. Cells that migrate toward the surface of the skin normally live about 28 days and, by day 20, they sit on the epidermis getting ready to die and slough off. Current research seems to show that EGCG reactivates epidermis cells 87. Anti-dandruff Effect: As the epidermal layer continually replaces itself, cells are pushed outward where they eventually die and flake off. In most people, these flakes of skin are too small to be visible. The result is that dead skin cells are shed in large, oily clumps, which appear as white or grayish patches on the scalp, skin and clothes that is popularly known as dandruff. Green tea naturally exfoliates the dry flakes which are the root of dandruff without dehydrating the skin. The researchers performed tests on an animal model to study the inflammatory skin diseases, characterized by patches of dry, red, flaky skin due to inflammation and overproduction of skin cells. A study demonstrated that animals treated with green tea displayed slower growth of skin cells and the activation of a gene controlling the cells life cycles. Recent green tea and hair research shows that green tea is also good for your scalp. Green tea appears to normalize the skin cell growth cycle by regulating a protein called Caspase-14, which tells skin cells when to multiply and when to die off. Green tea has also been shown to soothe skin and reduce inflammation. CONCLUSION: Green tea is consumed throughout the world in various forms. The years of safe consumption of this beverage, supported by numerous studies showing health benefits, warrant a general recommendation to consume it regularly. It possess antioxidant, antidiabetic, anti-inflammatory, antibacterial, antiviral and above all cancer protective properties. Green tea also acts positively on neurodegenerative diseases such as Parkinson and Alzheimer disease. This article demonstrates the potentials of green tea with respect to its antioxidant constituents. Although the human clinical data is still limited, this article shows that green tea has its place in both the conventional and alternative medical communities. Chan EWC, Lim YY and Chew YL: Antioxidant activity of Camellia sinensis leaves and Tea from a Lowland Plantation in Malaysia. Food Chemistry 2007; 102: 1214-1222. Pham-Huy LA, He H and Pham-Huy C: Free radicals, antioxidants in disease and health. International Journal of Biomedical Science 2008; 4(2): 89-96. Rahman K: Studies on free radicals, antioxidants and co-factors. Clinical Interventions in Aging 2007; 2(2): 219-236. Sisein EA: Biochemistry of free radicals and antioxidants. Scholars Academic Journal of Biosciences 2014; 2(2): 110-118. Jain S and Jain N: Antioxidant: Literature review. World Journal of Pharmacy and Pharmaceutical Sciences 2016; 5(10): 365-377. 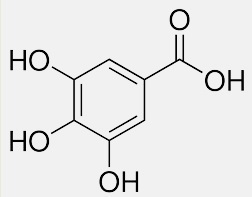 Gramza A, Korczak J and Amarowicz R: Tea polyphenols-their antioxidant properties and biological activity. Polish Journal of Food and Sciences 2005; 15(55): 219-235. Manavalan K and Ramasamy C: Physical Pharmaceutics, Vignesh Publishers, Chennai, Edition 2nd, 2001. Mendam K: A review on medicinal plants have anti-oxidants potentials. 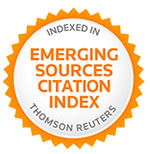 World Journal of Pharmaceutical Research 2015; 4(10): 754-763. Reddy EP, Pawar SM and Kiran BSR: A Review of Green Tea-Health Benefits and Effects. Journal of Current Trends in Clinical Medicine and Laboratory Biochemistry 2013; 1(3): 1-11. Aprioku JS: Pharmacology of free radicals and the impact of reactive oxygen species on the testis. Journal of Reproduction and Fertility 2013; 14(4): 158-172. Cabrera C, Gimenez R and Lopez MC: Determination of Tea components with antioxidant activity; Journal of Agricultural and Food Chemistry 2003; 51: 4427-4435. Sharangi AB: Medicinal and therapeutic potentialities of tea (Camellia sinensis) - A review. Food Research International 2009; 42: 529-535. Pal DK and Verma P: Flavanoids: A powerful and abundant source of antioxidants. International Journal of Pharmacy and Pharmaceutical Sciences 2013; 5(3): 95-98. Anand J, Rai N, Kumar N and Gautum P: Green Tea: A magical herb with miraculous outcomes; International Research Journal of Pharmacy 2012; 3(5): 139-148. Kasote DM, Katyare SS, Hegde MV and Bae H: Significance of antioxidant potential of plants and its relevance to therapeutic application. International Journal of Biological Sciences 2015; 11(8): 982-991. Karadag A, Ozcelik B and Saner S: Review of methods to determine antioxidant capacities. Food Analytical Methods 2009; 2: 41-60. Huang D, Ou B and Prior RL: The chemistry behind antioxidant capacity assays; Journal of Agricultural and Food Chemistry 2005; 53: 1841-1856. Dias TR, Tomás G, Teixeira NF, Alves MG, Oliveira PF and Silva BM: White Tea (Camellia sinensis (Linn. )): Antioxidant properties and beneficial health effects. International Journal of Food Science, Nutrition and Dietetics 2013; 2(2): 19-26. 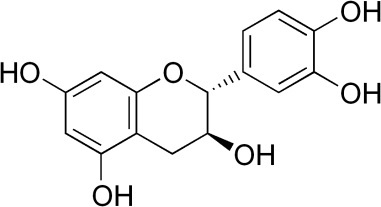 Wang H, Provan GJ and Helliwell K: Tea flavonoids: their functions, utilisation and analysis. Trends in Food Science and Technology 2000; 11: 152-160. Mukhtar H and Ahmad N: Green tea chemoprevention of cancer. Toxicological Sciences 1999; 5: 111-117. Aggarwal D, Sharma M and Singla SK: The role of natural anti-oxidants as potential therapeutic agent in nephro-lithiasis. Asian Journal of Pharmaceutical and Clinical Research 2013; 6(3): 48-53. Khan N and Mukhtar H: Tea polyphenols for health promotion. Life Sciences 2007; 81: 519-533. Sang S, Lambert JD, Ho CT and Yang CS: The chemistry and biotransformation of tea constituents. Pharmacological Research 2011; 64: 87-99. Bhatt PR, Pandya KB and Sheth NR: Camellia sinensis (L): The medicinal beverage: A review. International Journal of Pharmaceutical Sciences Review and Research 2010; 3(2): 6-9. Gupta DA, Bhaskar DJ, Gupta RK, Karim B, Jain A and Dalai DR: Green tea: A review on its natural anti-oxidant therapy and cariostatic benefits. Issues in Biological Sciences and Pharmaceutical Research 2014; 2(1): 8-12. Aher VD, Wahi AK, Pawdey AM and Sonawane A: Anti-oxidants As immunomodulator: An expanding research avenue; International Journal of Current Pharmaceutical Research 2011; 3(1): 8-10. Hamid AA, Aiyelaagbe OO, Usman LA, Ameen OM and Lawal A: Antioxidants: Its medicinal and pharmacological applications. African Journal of Pure and Applied Chemistry 2010; 4(8): 142-151. Mahantesh SP, Gangawane AK and Patil CS: Free radicals, antioxidants, diseases and phytomedicines in human health: Future Perspects. World Research Journal of Medicinal and Aromatic Plants 2012; 1(1): 6-10. Adak M and Gabar MA: Green tea as a functional food for better health: A brief review. Research Journal of Pharmaceutical, Biological and Chemical Sciences 2011; 2(2): 645-664. Rice-Evans CA, Miller NJ and Paganga G: Antioxidant properties of phenolic compounds. Trends in Plant Science 1997; 2(4): 152-159. Lobo V, Patil A, Phatak A and Chandra N: Free radicals, antioxidants and functional foods: Impact on human health. Pharmacognosy Review 2010; 4(8): 118-126. 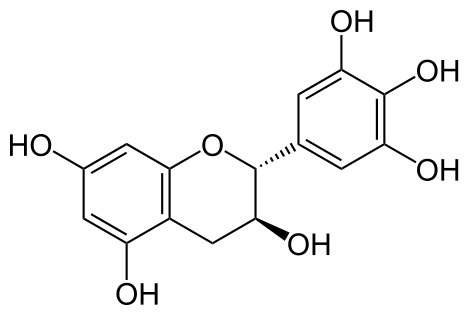 Pietta PG: Flavonoids as anti-oxidants. Nat. Prod. 2000; 63: 1035-1042. Islam MS: Effects of the aqueous extract of white tea (Camellia sinensis) in a streptozotocin-induced diabetes model of rats. Phytomedicine 2011; 19: 25-31. Sabu MC, Smitha K and Kuttan R: Anti-diabetic activity of green tea polyphenols and their role in reducing oxidative stress in experimental diabetes. Journal of Ethnopharmacology 2002; 83: 109-116. Tsuneki H, Ishizuka M, Terasaw M, Wu J, Sasaoka T and Kimura I: Effect of green tea on blood glucose levels and serum proteomic patterns in diabetic (db/db) mice and on glucose metabolism in healthy humans. BMC Pharm 2004; 4: 18. Wu LY, Juan CC, Ho LT, Hsu YP and Hwang LS: Effect of green tea supplementation on insulin sensitivity in Sprague and consequently induces leukemia cell apoptosis-Dawley rats. Journal of Agricultural and Food Chemistry 2004; 52(3): 643-648. Hamao M, Matsuda H, Nakashima S, Semura S, Maekubo S, Wakasugi S and Yoshikawa M: Anti-obesity effects of the methanolic extract and chakasaponins from the flower buds of Camellia sinensis in mice. Bioorganic and Medicinal Chemistry 2011; 9: 6033-6041. Chattopadhyay P, Besra SE, Gomes A, Das M, Sur P, Mitra S and Vedasiromoni JR: Anti-inflammatory activity of tea (Camellia sinensis) root extract; Life Sciences 2004; 74: 1839-1849. Marnewick JL, Van der Westhuizen FH, Joubert E, Swanevelder S, Swart P and Gelderblom WC: Chemo-protective properties of rooibos (Aspalathus linearis), honeybush (Cyclopia intermedia) herbal and green and black (Camellia sinensis) teas against cancer promotion induced by fumonisin B1 in rat liver. Food and Chemical Toxicology 2009; 47: 220-229. Maron DJ, Lu GP, Cai NS, Wu ZG, Li YH, Chen H, Zhu JQ, Jin XJ, Wouters BC and Zhao J: Cholesterol-lowering effect of a theaflavin-enriched green tea extract. Archives of Internal Medicine 2003; 163: 1448-1453. Hung YC, Sava VM, Juang CL, Yeh TC, Shen WC and Huang GS: Gastrointestinal enhancement of MRI with melanin derived from Tea leaves (Thea sinensis ): Journal of Ethnopharmacology 2002; 79: 75-79. Akhtar N and Haqqi TM: Epigallocatechin-3-gallate suppresses the global interleukin-1beta-induced inflamma-tory response in human chondrocytes; Arthritis Res Ther 2011; 13(3): R93. doi: 10.1186/ar3368. Amin J, Simamora ELP, Anwar E and Djajadisastra J: Green tea (Camellia sinensis, L.) Ethanolic extract as hair tonic in nutraceutical: physical stability, hair growth activity on rats and safety test. 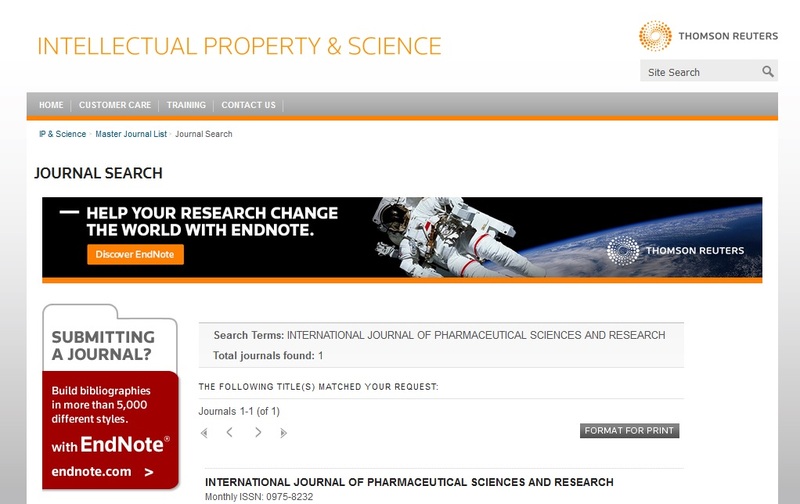 International Journal of Pharmacy and Pharmaceutical Sciences 2014; 6(5): 94-99. Dong Z, Ma WY, Huang C and Yang CS: Inhibition of tumor promoter-induced activator protein 1 activation and cell transformation by Tea polyphenols, (-) - Epigallo-catechin Gallate, and Theaflavins; Cancer Research 1997; 57: 4414-4419. 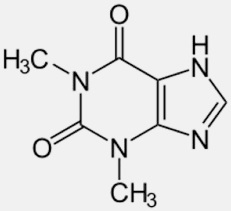 Waltner-Law ME, Wang XL, Law BK, Hall RK, Nawano M and Granner DK: Epigallocatechin gallate, a constituent of Green Tea, represses hepatic glucose production; The Journal of Biological Chemistry 2002; 277(38): 34933-34940. Gupta DA, Bhaskar DJ, Gupta RK, Karim B, Jain A and Dalai DR: Green Tea: A review on its natural anti-oxidant therapy and cariostatic benefits; Biol. Sci. Pharm. Res. 2014; 2: 8-12. Yang CS, Wang H, Li GX, Yang Z, Guan F and Jin H: Cancer prevention by tea: Evidence from laboratory studies. Pharmacological Research 2011; 64: 113-122. Kim HK, Kim M, Kim S, Kim M and Chung JH: Effects of green tea polyphenol on cognitive and acetyl-cholinesterase activities. Biosci Biotechnol Biochem. 2004; 68(9): 1977-1979. Haque AM, Hashimoto M, Katakura M, Tanabe Y, Hara Y and Shido O: Long-term administration of Green Tea catechins improves spatial cognition learning ability in rats; The Journal of Nutrition 2006; 136(4): 1043-1047. Moon HS, Lee HG, Choi YJ, Kim TG and Cho CS: Proposed mechanisms of (−)-epigallocatechin-3-gallate for anti-obesity; Chemico-Biological Interactions 2007; 167(2): 85-98. Inami S, Takano M and Yamamoto M: Tea catechin consumption reduces circulating oxidized low-density lipoprotein; International Heart Journal 2007; 48(6): 725-732. Adhami VM and Mukhtar H: Anti-oxidants from green tea and pomegranate for chemoprevention of prostate cancer; Molecular Biotechnology 2007; 37(1): 52-57. Sumpio BE, Cordova AC, Berke-Schlessel DW and Qin F, Chen QH: Green Tea, the “Asian paradox,” and cardiovascular disease. Journal of the American College of Surgeon 2006; 202(5): 813-825. Weinreb O, Mandel S, Amit T and Youdim MB: Neurological mechanisms of Green Tea polyphenols in Alzheimer’s and Parkinson’s diseases; The Journal of Nutritional Biochemistry 2004; 15(9): 506-516. Shankar S, Ganapathy S, Hingorani SR and Srivastava RK: EGCG inhibits growth, invasion, angiogenesis and metastasis of pancreatic cancer. Frontiers in Bioscience 2008; 13: 440-452. 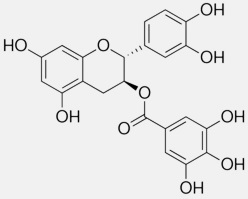 Thangapazham RL, Passi N and Maheshwari RK: Green tea polyphenol and epigallocatechin gallate induce apoptosis and Inhibit Invasion in human breast cancer cells; Cancer Biology and Therapy 2007; 6(12): 1938-43. Unno K, Takabayashi F and Yoshida H: Daily consumption of Green Tea catechin delays memory regression in aged mice. Biogerontology. 2007; 8(2): 89-95. Katiyar SK and Elmets CA: Green tea polyphenolic anti-oxidants and skin photoprotection; International Journal of Oncology 2001; 18(6): 1307-1313. Hassanian E, Silverberg JI, Norowitz KB, Chice S, Bluth MH, Borody N, Joks R, Durkin HG and Smith-Norowitz TA: Green Tea (Camelia sinensis) Suppresses B cell production of IgE without Inducing Apoptosis; Annals of Clinical and Laboratory Science 2010; spring 40(2): 135-143. Mowafy AM, Salem HA, Gayyur MM, Mesery ME and Azab MF: Evaluation of renal protection effects of the green tea (EGCG) and red grape reservatrol: role of oxidative stress and inflammatory cytokines; Natural Product Research 2011; 25(8): 850-856. El-Mowafy AM, Al-Gayyar MM, Salem HA, El-Mesery ME and Darweish MM: Novel chemotherapeutic and renal protective effects for the Green Tea (EGCG): Role of oxidative stress and inflammatory-cytokine signalling; Phytomedicine 2010; 17(14): 1067-1075. 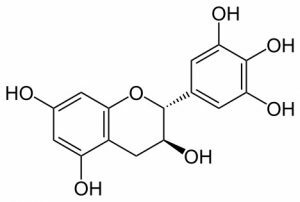 Chu KO, Chan KP, Wang CC, Chu CY, Li WY, Chou KW, Rogers MS and Pang CP: Green Tea catechins and thin oxidative protection in the rat eye. Journal of Agricultural and Food Chemistry 2010; 58(3): 1523-1534. Junqueira VB, Barros SB, Chan SS, Rodrigues L, Giavarotti L, Abud RL and Deucher GP: Aging and oxidative stress. Molecular Aspects of Medicine 2004; 25: 5-16. Gaur S and Agnihotri R: Green tea: A novel functional food for the oral health of older adults; Geriatrics Gerontology International 2014; 14(2): 238-250. Awadalla HI, Ragab MH, Bassuoni MW, Fayed MT and Abbas MO: A pilot study of the role of green tea use on oral health; International Journal of Dental Hygiene 2011; 9: 110-116. Katiyar S, Elmets CA and Katiyar K: Green Tea and skin cancer: photo immunology, angiogenesis and DNA repair; J Nutr Biochem 2007; 18: 287-296. Sinija VR and Mishra HN: Green Tea: Health benefits; Journal of Nutritional and Environmental Medicine 2008; 17(4): 232-242. Thiyam B, Ravindra SV, Devi MP, Yeluri G and Gadiyar A: Green Tea a healthy sip. IJSS Case Reports and Reviews 2015; 1(12): 55-60. Guo S, Yan J, Yang T, Yang X, Bezard E and Zhao B: Protective effects of green tea polyphenols in the 6- OHDA rat model of parkinson's disease through inhibition of ROS-NO pathway; Biol Psychiatry 2007; 62: 1353-62. Okello EJ, Savelev SU and Perry EK: In-vitro anti-β-secretase and dual anticholinesterase activities of Camellia sinensis Relevant to treatment of dementia; Phytother Res. 2004; 18: 624-627. Kao YH, Chang HH, Lee MJ and Chen CL: Tea, obesity, and diabetes. Mol Nutr Food Res 2006; 50(2): 188-210. Boschmann M and Thielecke F: The effects of epigallocatechin-3-gallate on thermogenesis and fat oxidation in obese men: a pilot study. J Am Coll Nutr 2007; 26(4): 389S-395S. Kuriyama S, Shimazu T and Ohmori K: Green Tea consumption and mortality due to cardiovascular disease, cancer and all causes in japan the Ohsaki study; JAMA 2006; 296(10): 1255-1265. Reygaert WC: The antimicrobial possibilities of green tea; Frontiers in Microbiology 2014; 5: 434(1-8). Chandra AM and De N: Goitrogenic and antithyroid potential of Green Tea of Indian origin; Bangladesh Soc Physiol 2014; 9(2): 105-116. Katiyar SK, Ahmad N and Mukhtar H: Green Tea and skin; Arch Dermatol.2000; 136(8): 989-994. Song JM, Lee KH and Seong BL: Antiviral effect of catechins in green tea on influenza virus; Antiviral Res 2005; 68: 66-74. Lee MJ, Maliakal P and Chen L: Pharmacokinetics of tea catechins after ingestion of green tea and (-)-epigallocatechin-3-gallate by humans: formation of different metabolites and individual variability; Cancer Epidemiol Biomarkers Prevent 2002; 11: 1025-1032. Yu H, Oho T, Tagomori S and Morioka T: Anticariogenic effects of Green Tea; Fukuoka Igaku Zasshi. 1992; 83: 174-180. Lodhia P, Yaegaki K, Khakbaznejad A, Imai T, Sato T and Tanaka T: Effect of Green Tea on volatile sulfur compounds in mouth air; J Nutr Sci Vitaminol 2008; 54: 89-94. Haggi TM, Anthony DD and Gupta S: Prevention of collagen-induced arthritis in mice by a polyphenolic fraction from green tea; Proc Natl Acad Sci USA 1999; 96: 4524-4529. Hegarty VM, May HM and Khaw KT: Tea drinking and bone mineral density in older women; Am J Clin Nutr 2000; 71: 1003-1007. Vishnoi H, Bodla RB and Kant R: Green Tea (Camellia sinensis) and its antioxidant property: A review. Int J Pharm Sci Res 2018; 9(5): 1723-36.doi: 10.13040/IJPSR.0975-8232.9(5).1723-36. Authors Address: Delhi Pharmaceutical Science and Research University, Pushp Vihar, New Delhi, Delhi, India.